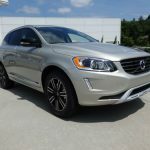 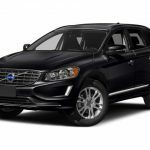 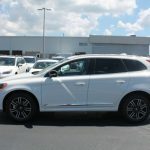 2017 Volvo XC60 T5 Dynamic is a compact crossover SUV for 2017 model year by Volvo, standard equipment for the new 2017 Volvo XC60 T5 Dynamic trim include 18-inch wheels, LED running lights, heated mirrors, roof rails, dual panoramic roof, automatic wipers, remote ignition, cruise control, low-speed collision warning and mitigation, blind -spot monitoring with rear cross-traffic alert, a rearview camera and rear parking sensors. 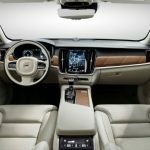 Inside, 2017 Volvo XC60 T5 Dynamic Interior features include dual-zone automatic climate control, an auto-dimming rearview mirror, leather upholstery, eight-way power adjustable front sport seats with driver memory functions, 40/20/40 split folding rear seats, a tilt-and-telescoping steering wheel, aluminum interior trim, a leather-wrapped steering wheel and shifter, Bluetooth phone and streaming audio, a 7-inch infotainment display, Volvo’s Sensus Connect system with navigation and mobile applications, an eight- speaker stereo with USB / auxiliary audio input, HD and satellite radio. 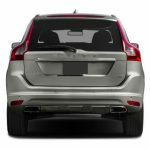 The 2017 Volvo XC60 T6 Dynamic trim adds 19-inch wheels, a power liftgate, keyless entry / ignition and digital meters. 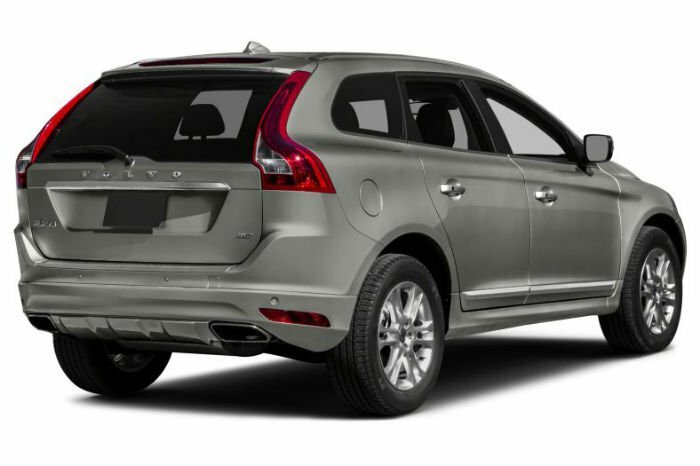 The inscription trim includes all the 2017 Volvo XC60 T5 dynamic features with 20-inch wheels, power folding, and auto-dimming mirrors, for comfort seats, interior ambient lighting, and wood interior trim. 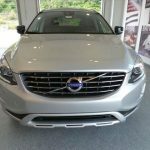 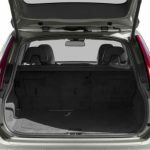 Most of these features are available on the 2017 XC60 T5 Dynamic as part of the preferred options package adds front parking sensors, a universal garage door opener, folding rear headrests and a 12-volt power outlet in the cargo area.